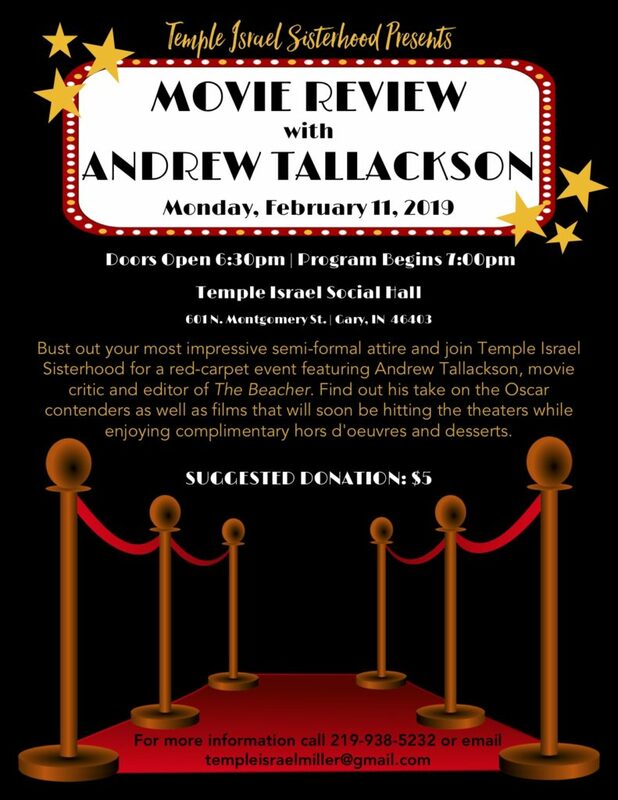 Bust out your most impressive semi-formal attire and join Temple Israel Sisterhood for a red-carpet event featuring Andrew Tallackson, movie critic and editor of The Beacher. Find out his take on the Oscar contenders as well as films that will soon be hitting the theaters while enjoying complimentary hors d’oeuvres and desserts. Suggested donation $5. Doors open at 6:30pm, program begins at 7pm.